THE SUN OF THE SPIRITUAL WORLD IS NOT GOD, BUT IS A PROCEEDING FROM THE DIVINE LOVE AND DIVINE WISDOM OF GOD-MAN; SO ALSO ARE THE HEAT AND LIGHT FROM THAT SUN. WITHOUT A DOUBLE SUN, ONE LIVING AND THE OTHER DEAD, NO CREATION IS POSSIBLE. And His face was as the sun shineth in His power, signifies the Divine love and the Divine wisdom, which are Himself, and proceed from Himself. That by "the face of Jehovah," or of the Lord, is meant the Divine Himself in His Essence, which is the Divine love and the Divine wisdom thus Himself, will be seen in the explanations below, where mention is made of "the face of God." The same is signified by "the sun shining in His power." That the Lord is seen as a sun in heaven before the angels, and that it is His Divine love together with His Divine wisdom, which so appear, may be seen in the work concerning Heaven and Hell, published in London, 1758 (n. 116-225); and in The Angelic Wisdom concerning the Divine Love and Wisdom (n. 83-172). In that day the light of the moon shall be as the light of the sun, it shall be sevenfold, as the light of seven days (Isa. 30:26). "That day" is the advent of the Lord when the old church is destroyed, and a new one is about to be established; "the light of the moon" is faith from charity, and "the light of the sun" is intelligence and wisdom from love, and thus from the Lord. Thy sun shall no more go down, neither shall thy moon withdraw itself; for Jehovah shall be an everlasting light (Isa. 60:20). The sun which shall not set, is love and wisdom from the Lord. The rock of Israel spake unto me, as the light of the morning when the sun ariseth (2 Sam. 23:3-4). This is said of David; but by "David" is there meant the Lord. They shall fear thee with the sun. In his days shall the just flourish, and abundance of peace until there is no moon; the name of the Son shall be before the sun; and all nations shall be blessed in Him (Ps. 72:5, 7, 17). When He was transfigured, His face did shine as the sun, and His raiment became as the light (Matt. 17:1-2). She was seen clothed with the sun (Rev. 12:1). "The sun" in these passages also signifies love and wisdom from the Lord; "the woman" is the church, which is called the New Jerusalem. Behold the fierce day of Jehovah cometh; the sun shall be darkened in its rising, and the moon shall not make her light to shine; I will visit upon the world its wickedness, and upon the impious their iniquity (Isa. 13:9-11; see also Isa. 24:21, 23). And when I shall have extinguished thee, I will cover the heavens, and I will make the stars thereof dark; I will cover the sun with a cloud, and the moon shall not cause her light to shine, and I will set darkness upon thy land (Ezek. 32:7-8). The day of Jehovah cometh, a day of darkness, the sun and the moon shall not make their light to shine, and the stars have withdrawn their splendor (Joel 2:10). The sun shall be turned into darkness, and the moon into blood, before the great day of Jehovah cometh (Joel 2:31). The day of Jehovah is near in the valley of decision. The sun and the moon shall be darkened (Joel 3:14-15). The fourth angel sounded, and the third part of the sun was smitten, the third part of the stars, and the day shone not for a third part of it (Rev. 8:12). The sun became black as sackcloth of hair, and the moon became as blood (Rev. 6:12). The sun was obscured by the smoke of the pit (Rev. 9:2). In these passages by "sun" is not meant the sun of this world, but the sun of the angelic heaven, which is the Divine love and the Divine wisdom of the Lord; these are said to be "obscured," "darkened," "covered," and "blackened" when there are evils and falsities with man. Immediately after the affliction of those days shall the sun be obscured, and the moon shall not give her light, and the stars shall fall from heaven (Matt. 24:29; Mark 13:24-25). And the sun shall go down over the prophets, and the day shall grow black over them (Micah 3:5-6). 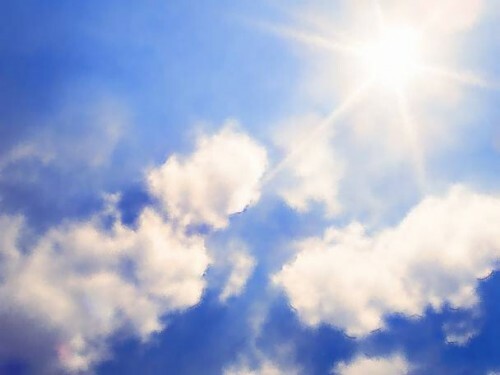 In that day I will cause the sun to set at noon, and I will darken the earth in the day of light (Amos 8:9). She that hath borne seven shall breathe out her soul; her sun is set while it is yet day (Jer. 15:9). This is said of the Jewish church, which was "to breathe out its soul," that is, would perish; "the sun shall set," signifies that there will be no longer any love and charity. 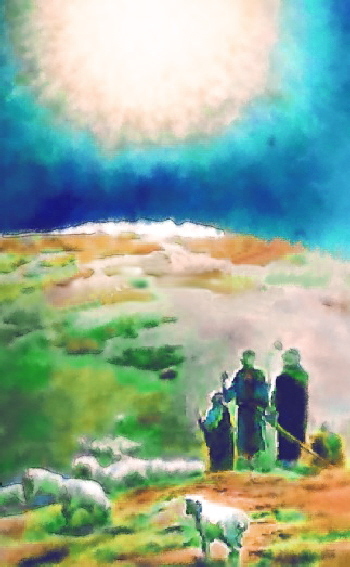 The sun stood still in Gibeon, and the moon in the valley of Ajalon (Josh. 10:12-13). Is not this written in the book of Jasher? (Josh. 13). The mountains were moved, the sun and moon stood in their seat (Hab. 3:10-11). Thy sun shall no more go down; neither shall thy moon be withdrawn (Isa. 60:20). For to make the sun and moon stand still would be to destroy the universe.